It's so great to see another career-spanning artbook from Alex Ross. There have been many Alex Ross artbooks released over the years. 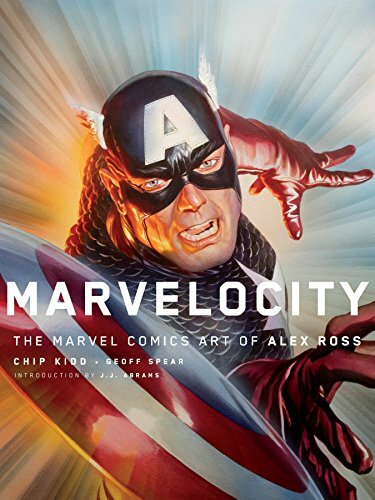 The most definitive ones are Mythology: The DC Comics Art of Alex Ross which was published in 2005, and this new book that collects the art that he has created for Marvel. This huge 315-page hardcover features from the last decade and more. The dust jacket opens up to a multi-page gatefold with 12 alternate cover art printed with high gloss paper that really accentuates the colours. The artworks you'll see includes even those that he drew when he was a kid, paper cut outs of his favourite superheroes (Invisible Woman was a figure pasted together with transparent tape), his interpretation of past comic covers, sketches, comic panels and of course his characteristic splash art and cover art. All pictures included are properly credited. The only thing I could wish for is even more commentary because I'm sure there is so much more story behind each painting. This is such an incredible volume of art. This guy is the equivalent of a modern Old Master. He probably has enough work to put in a museum all for himself. Highly recommended. Definitely one of the best artbooks of 2018.